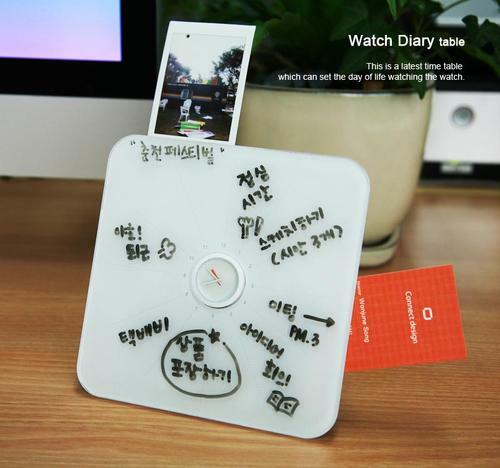 Have you remembered that innovative Watch Diary notebook? Now the designer has release another watch-integrated gadget: Watch Diary table. 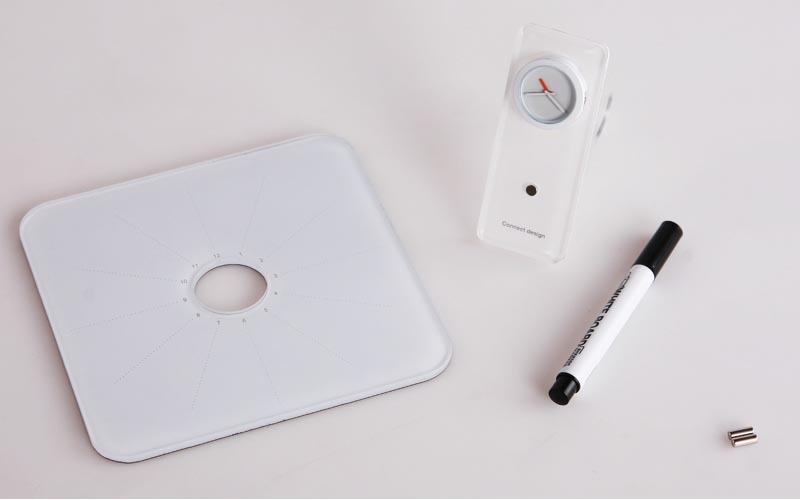 As we can see from the images, Watch Diary is a unique clock that consists of two main parts, including a square board and a watch that can be attached to a narrow table with stand. Of course, you can put the watch on your desk, but apparently, this runs counter to the designer’s original intention. 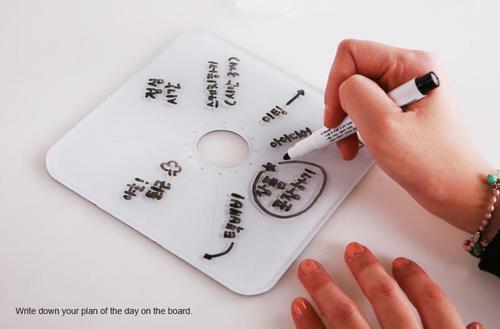 Using the square board with 12 zone and Marker pen, you can conveniently write down your notes and todos during the day. Apart from that, you can also attach your sticky notes or photos to the back of the board using the assorted magnet. Don’t think Watch Diary is just a design concept. 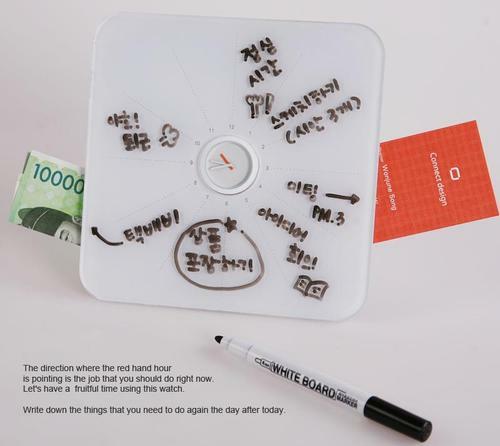 The innovative gadget combined with watch and reminder is available for $33 USD. If you’re interested, jump to the designer’s website for more details.